Choosing Outfits For Weddings In Different Cultures! I get a real buzz when I get a wedding invitation there is nothing more beautiful than sharing someones special day. One of the fun things can be choosing an outfit for the big day and choosing a guest outfit for a wedding in the UK is hard enough, but what about if you’ve been invited to a wedding of a different culture? Together with Charles Tyrwhitt, retailers of timeless menswear, we look at how the dress code of a wedding changes depending on the background of the newlyweds. In the UK and western culture the tradition is for the bride to wear white dresses with a train and veil. From sleek long figure hugging gowns to huge voluminous petticoats the theme is usually a variant of the same light dress. Lets look at how our own bridal traditions compare to India, Japan and China? In India, the bridal outfit can depend on the region the lady is from, the bride wears a Saree which is a garment that looks like a long drape, in others she wears a lehenga which is a long skirt. Often the bride is dressed in red or another vibrant colour, her garments will be carefully embroidered with beautiful delicate details. A lot of hard work goes into these bridal outfits which are hand crafted by a skilled seamstress. The bride and her bridal party will also have henna designs on their arms and forearms. The patterns and designs are beautiful and very detailed even more care going into the brides. 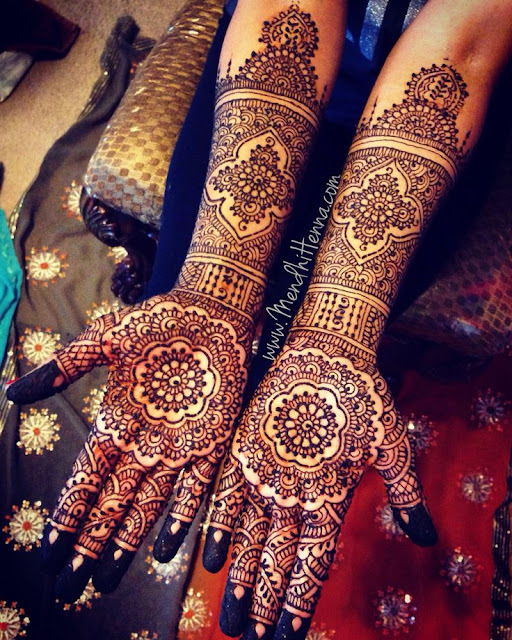 Henna will take place in days leading up to the wedding in an important traditional ceremony with the bridal party. 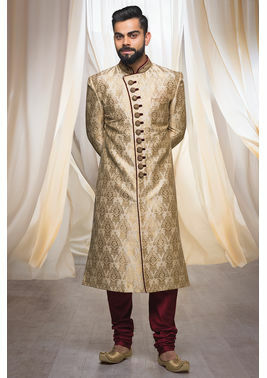 Again for India it will depend upon the region what outfit the groom will wear. Some husbands-to-be wear traditional dress, such as a dhoti which is a rectangular cloth ties around the waist. In other regions, they wear a sherwani (a long coat), a kurta (loose falling shirt that hangs below the knee), or a Western suit. So what should you wear? Keeping in mind that a bride wears red this colour should be avoided but the more colourful and vibrant the outfit the better. White should be avoided also as traditionally this is the colour worm for funerals. So go for the most colourful spectacular outfit and dress to impress as Indian weddings are grand and decadent. Avoid revealing outfits that bare shoulders, chest or short skirts go for beautiful jewelled elaborate outfits. The Indian female guests will most likely be dressed in colourful sarees or anarkali suits. Jewellery is important for women too, choose a statement piece for around your neck with matching earrings and bangles. Indian weddings can often be three days long so if you are lucky enough to be invited to more than one day make sure you know what activities will be taking place dress accordingly and make sure you wear comfortable clothing. In Japan it is ordinary for a family to spend £75,000 om a wedding and it will most often traditionally be the parents of the couple who will take charge and organise the wedding. 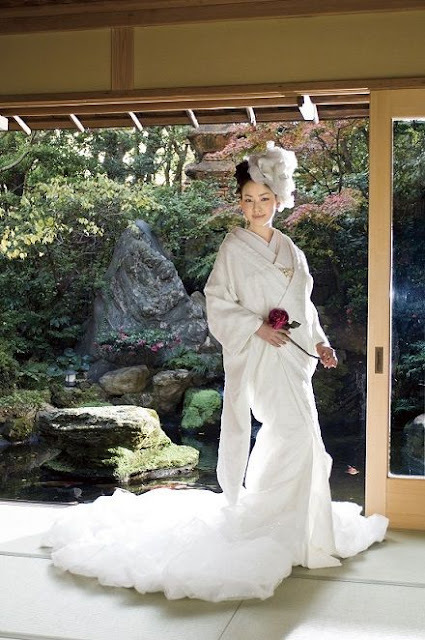 Due to status and tradition this can lead to Japanese families spending large amounts of money to have the 'best' wedding as it is a reflection on their worth in society. This can lead to brides having as many as 5 outfits. Most traditional Shinto brides will wear a white Kimono but as the times have changed a lot of Japanese brides have favoured a dress featuring traditional print. 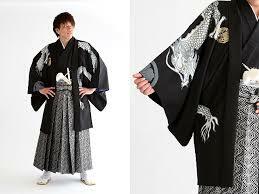 In a traditional Japanese wedding the groom will often wear a kimono also embellished with the family crest. This is called a Montsuki but later the groom will then also change into a tailored tuxedo. Many modern Japanese men and younger grooms start the ceremony in a tuxedo too. Region can again play a factor in the difference of brides in China. Red is the most traditional colour as it represents a symbol of good luck. This luck is traditionally seen the keep evil spirits at bay. 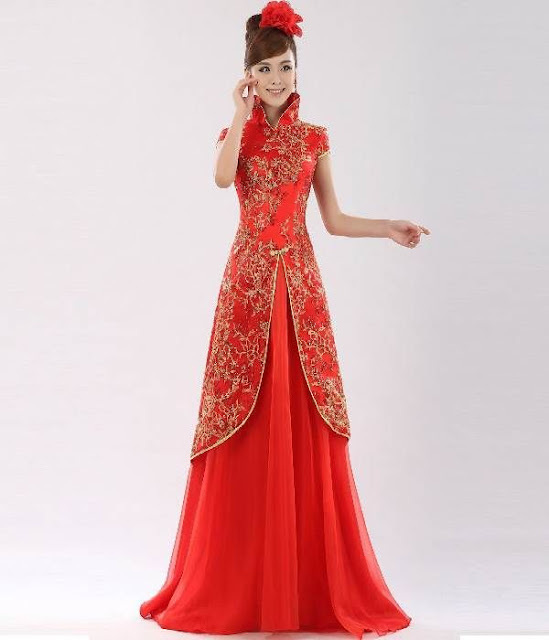 In northern China is is a tradition for the bride to have a one piece dress with a stunning gold and silver embroidery where in southern china brides will often wear a two piece. Another part of traditional bridal wear for Chinese brides is to wear a crown for photographs. This helps portray the grandness of the occasion and footwear will be embroidered with certain symbols such as a turtle to represent happiness. 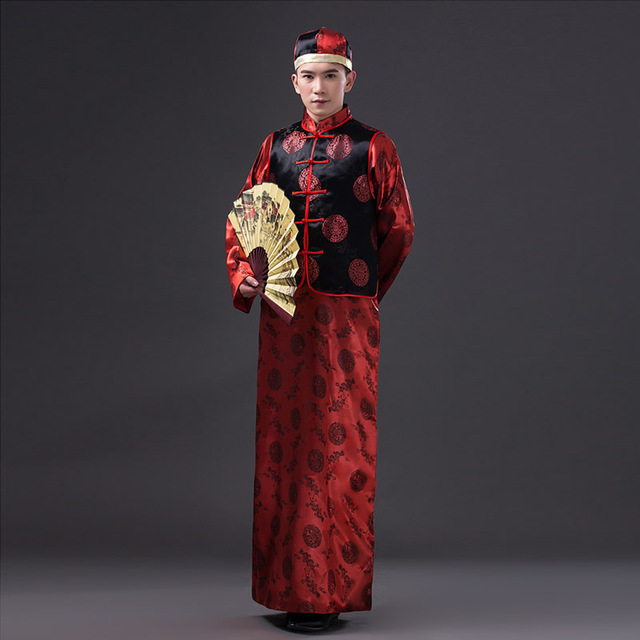 In China the groom will wear a long silk coat and will be almost certain to wear head wear such as a black hat with a red tassel. The silk coat will have stunning embroidery similar to that of the bride representing the region and status. Some younger generations are not following the traditional dress code and simply wear a tuxedo or a Western-style business suit.